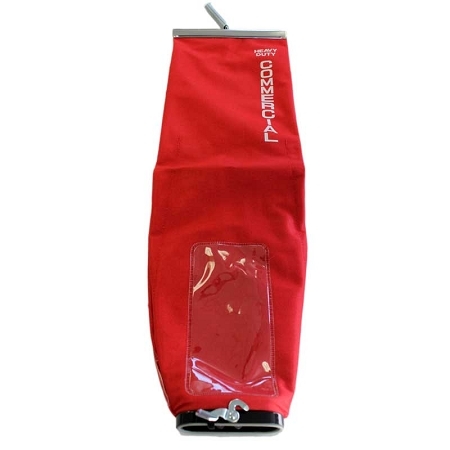 Sanitaire Commercial Cloth Bag 2 Way With Latch Coupling. Fits SC679 and many others. Q: I need a replacement cloth bag for Model SC886E. Which bag do I order? Q: Does this bag have a zipper? Q: will this bag except f&g filter bags? A: no it doesn't, you will need one with a zipper. Q: Does this fitt sanitaire upright S670? A: That will take a bag with two holes for the screws. Q: Does this fit model SC899E-2?